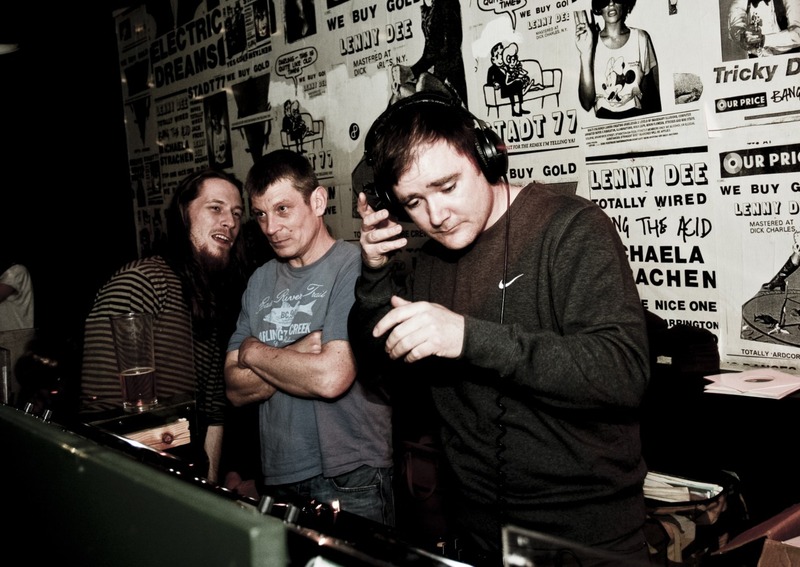 A dubplate and mastering specialist, DJ and promoter, Henry Heatwave is a steady force in Bristol’s rich music scene. 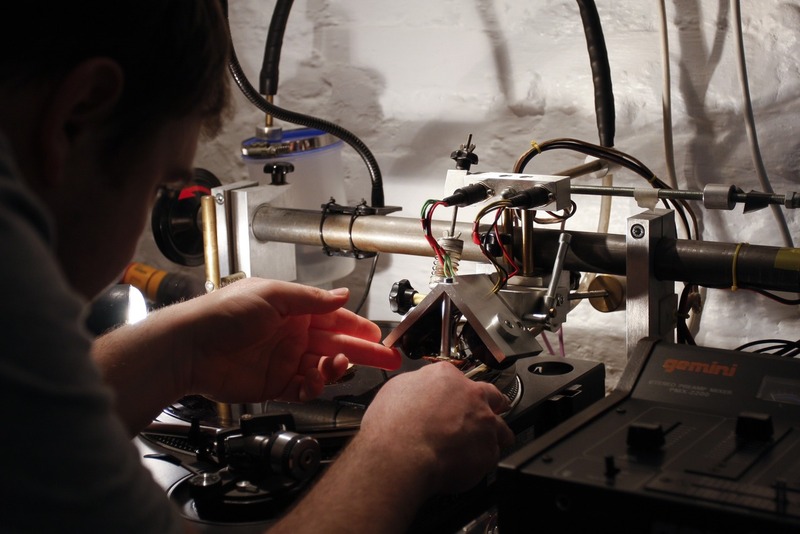 Henry tells us about how Dub Studio came to life, his influences…and his portable lathe! What made you decide to get into mastering and cutting dubplates? I have always had a fascination for sound. I used to create gigantic speakers in my bedroom when I was too young to go clubbing, and I remember when I first used a graphic equaliser to tweak the sound. My friend brought it round and showed me how you could control precise bands of sound to tune the system, and I was blown away; I used to play with that EQ for hours! I guess from then on I always took a keen interest in what it takes to make things sound good, but it wasn’t until I left Uni in 2003 that I had the opportunity to set up a dub cutting studio. At the time my main focus was on cutting dubs for myself and The Heatwave, but demand was so high that it kind of took over my life. Within a few weeks of setting up the studio I was cutting dubs for people like Roni Size, Clipz and Krust, and that’s when I started to learn a lot about mastering. I basically learnt on the job, it was a pretty chaotic time, but shortly after I opened the studio I met a guy called James Ginzburg who convinced me to take it a whole lot more seriously and opened my eyes to the possibilities that lay before us. He introduced me to a guy called Joe Jarlett who taught me most of what I know about sound engineering, and together we started taking orders and sending them out. It was a steep learning curve, and one that continues to this day. I still refer to Bob Katz’s famous book on the subject of mastering, and I lurk around on Gearslutz for more specific advice, and LatheTrolls for info on all things vinyl-related. Of course I can’t forget Ulrich Sourisseau, who came up with a fantastically simple and effective system for cutting vinyl dubs, and provided me with most of the equipment and knowledge I needed to get set up. Inspiration comes from all over so its hard to pinpoint exactly, but the Jamaican sound system scene is probably the biggest overall influence. My dad was involved in a sound system called Unrulee Rockers when I was a kid, and I remember one of the selectors Dr. Maynard describing how he used to get specials cut onto acetate and I thought that was so cool. Now I am honoured to be cutting Dr. Maynard’s dubs all these years later. On the technical side, it has to be King Tubby. Not only was he a highly skilled electronics engineer and vinyl mastering engineer, but he also produced some of the most amazing music I have ever heard. Later on in his career he starting producing some of the early dancehall in Jamaica, and ran several record labels. He was the sort of engineer who was heavily involved in the music scene, and that’s the sort of engineer I want to be. He achieved great things against all the odds, and when I have a challenging day, I think it must be nothing compared to what he was up against. Tell us about one of your more challenging cuts. My job is all about problem solving. There are two parts to the problem of cutting a successful dub. 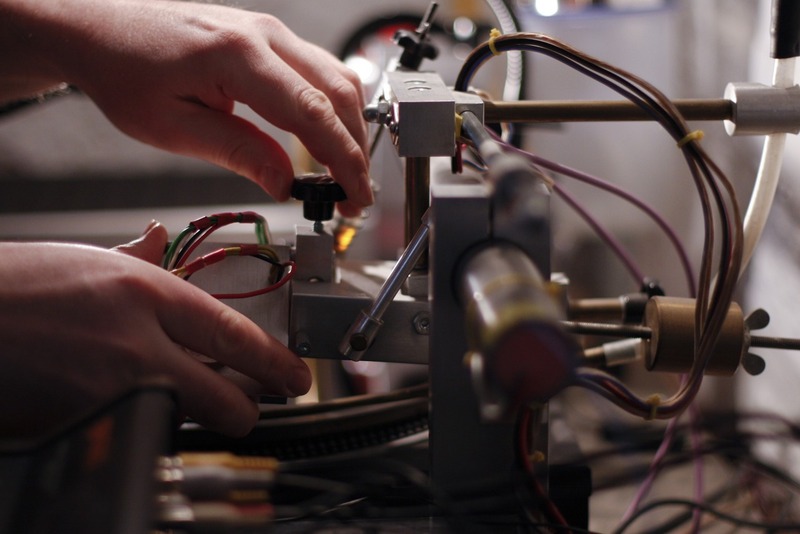 The first is purely mechanical, the second part is purely acoustic, but the two parts of the problem interact. I have to ensure the cutting stylus cuts nice, clean grooves that are the right depth and the right distance apart. Then I need to make sure the dub is not too loud, or too quiet, and does not skip or distort. 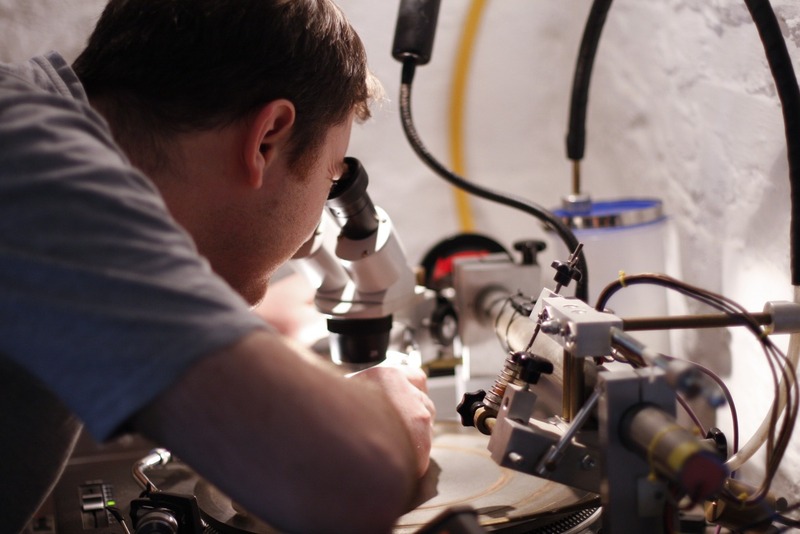 Sound is linear, and the limitations of vinyl are blurry, so unless you do a test cut of each track its almost impossible to guarantee a good cut each time. After 10 years of cutting I am pretty good at spotting problems before they arise, but having said that, if I hear a problem during a cut, I have no qualms about aborting the dub and starting again – sometimes it’s the only way to get a good sound. Generally though, if a track has been well mixed it will cut to dub fine. Typically, problems only occur when the relative dynamics of the various components of the music are at odds with each other, either because the mixing is sloppy or it was heavily compressed to mask some problems. For example, if de-essing a wild vocal is making the hi-hats sound dull, you have a problem that is not easy to solve. It may sound OK in the box, but on vinyl you will either have distorted esses, or dull hi-hats. The same goes for any part though, if you suddenly have a crazy flute solo in the middle of an otherwise quite steady piece, the level will have to be lower throughout whole track to give room for that solo. That’s OK if dynamics are the order of the day, but most people want it cut loud, without realising that the cut can only be as loud as the loudest part. I can’t really remember any particular track that stands out as being difficult, but when it comes to genres, DnB has to be the hardest. Things seem to have calmed down a bit for DnB dubs, but there was a time when I was pulling my hair out every week trying to cut ever louder dubs for people. Each time we reached a new loudness limit, someone would want to try and squeeze a bit more out, to keep up with the likes of Andy C and Dillinja. For me it was like being stuck in a negative cycle of compromise and reduction in quality, where people seemed to have forgotten that music is about enjoyment, not competition. A few years ago I got fed up with it all and decided to establish a house level that I would not exceed. It turned out to be one of the best decisions I ever made. I lost a few clients in the process, but I recovered soon enough. I hope one day all mastering engineers will follow suit, because a whole raft of music is being released now that just sounds terrible. Name-dropping…who are some people you’ve worked with? Its a pretty mixed bag really. Last week I was cutting for Neek here in Bristol, and Bass Foundation over in New Delhi. This week I am on a stack of dubs for rockabilly DJ John Gough, then later in the week I am cutting a bunch for Riz La Teef, Boofy and a few people I have never heard of (sometimes my clients only give me their real names). Other familiar names I have worked for in the past include Pinch, Joker, Rob Smith, Clipz/Red Light, Peverelist, Gemmy, Guido, Roni Size, Daddy G, Krust, SUV, Die, Cyantific, Nutone, High Contrast, Danny Byrd, Logistics, Mr Benn, Queen B, Kowton, Vinyl Junkie, Flynn and of course Flora (RIP I still can’t believe you are gone) and more recently people like Vandal, RSD (again), Dubkasm, Kahn, Neek, Ossia, Batu, Lurka, Boofy, Hi5Ghost to name just a few of the local artists I am working with at the moment. Following in the footsteps of King Tubby, I like to get as heavily involved in the music scene as I can. I like attending nights like Young Echo here in Bristol, and I just got back from Outlook with The Heatwave which was amazing. I like getting out and about giving lectures and live demos and I have built a portable lathe for that purpose. It’s my dream to cut dubs live from a mixing console, to create unique one-off dub cuts, but to do that I would need to travel to studios with a dub cutting lathe, which I can now do! Also, it occurred to me a while back that I am in a pretty unique position in the Bristol music scene, rubbing shoulders with such a broad spectrum of artists, so I am trying to document as much of it as I can, with a view to making a film about it at some point in the future. Photography by Elena Goodrum. 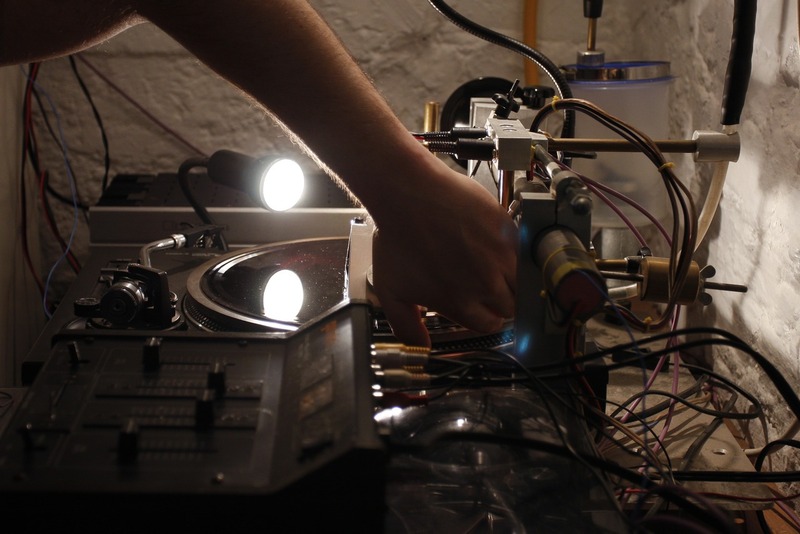 See more photos of Henry at work, get up close and personal with his lathe and check out some dubplate fire.